Everyone knows the Denver Broncos’ dynamic duo at wide receiver. Emmanuel Sanders and Demaryius Thomas continue to produce Pro Bowl numbers, despite playing with a regressing Peyton Manning, a seventh-round pick in his second season and an incredibly raw rookie QB over the last two years. As fans watched a struggling Broncos offense fail to keep the team in games, one of the biggest areas of weakness was the team’s inability to move the ball on third down. In 2016, Denver converted only 34.2% of third downs. Backed up in third and long situations, opposing defenses easily key in on the offense’s biggest weapons. Having other players who can make a play to move the chains is crucial to the success of an offense. While WR #1 and #2 have shown they can produce on a year-to-year basis, the same cannot be said for upcoming free agent WR Jordan Norwood; who managed only 232 receiving yards last season. As the team’s third wide receiver and primary punt returner, Norwood has shown he can be a versatile football player. Unfortunately, Norwood’s versatility didn’t convert to on the field production or points (he only had one touchdown last season). Norwood also led all skill position players with five fumbles lost, despite not playing in a starting role. Most fans remember his fumble against the Kansas City Chiefs that left one teammate in particular especially upset. Despite his many successes as the Broncos’ GM, Elway has not found a suitable #3 option at the wide receiver position since Wes Welker lined up in the slot. When looking at the depth the Broncos have behind Norwood, Elway may not be comfortable letting Norwood walk until he has a suitable replacement. Fans will forever remember Bennie Fowler‘s Super Bowl heroics, catching Peyton Manning’s very last NFL pass for a two-point conversion, but he has done little on the field since to warrant a heavier role. Behind Fowler, youngsters Jordan Taylor and Cody Latimer fill the rest of the wide receiver depth chart. At this time, neither would be a true upgrade over Norwood. 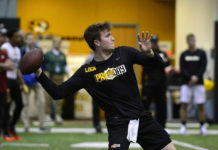 Keeping Norwood would allow an offense in transition to retain a versatile football player, while also keeping a wide receiver that both quarterbacks on the roster are familiar with. 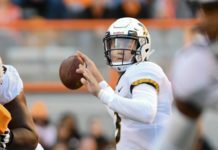 Keeping both young quarterbacks as comfortable as possible would allow for a smoother transition into a new offensive scheme. 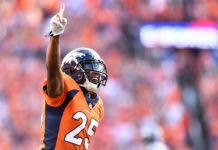 If Norwood wants to remain with Denver in 2017 and beyond, he will need to have more games like he did against the Oakland Raiders on Monday night football. 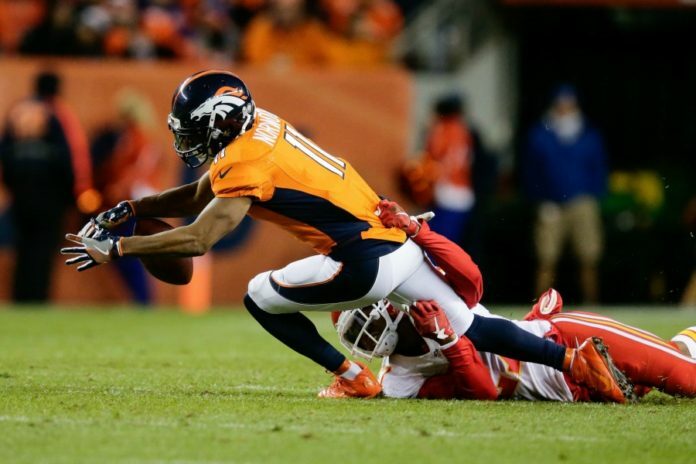 Against Denver’s division rival, Norwood showed up big registering two catches for 58 yards and a touchdown. Most importantly, he will need to dramatically reduce his turnovers. Newly hired head coach Vance Joseph publicly stated that he wants an offense with “swagger.” Norwood’s past contributions to a team in desperate need of stepping up in 2017 may not be enough to convince Elway to retain him for the upcoming season.